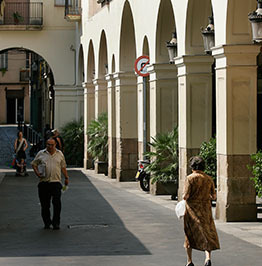 The Sant Andreu district is like its residents: its temperament, fight, and a profound sense of respect for tradition. From Els Tres Tombs to the Esclat and so many other festivals, tradition marks the course of the former village which, now annexed to Barcelona, still maintains is spirit. 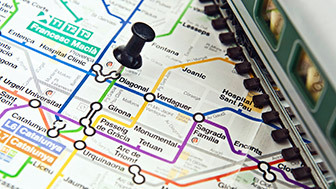 The city's memory wanders round and stops to have a coffee in Sant Andreu;'s neighbourhoods. The district retains its traditional character and you can still feel the village that lies secluded in the old cobbled streets, the porticoed squares and the centennial businesses. 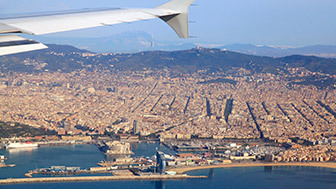 Also hidden are Roman remains and solid farmhouses that speak of a rural past, of a village that became an urban centre and which ended up as part of today's sprawling Barcelona. But it is also an industrial past that takes us back to workers' struggles, trade unionism and neighbourhood support, and which is now being reclaimed by the city through the opening up of areas like Parc de la Pegaso in La Sagrera, the creative space in Nau Ivanow and that of Fabra i Coats, former home to a spinning works with 30,000 m2 of previously industrial space which is now being used for the public, and which includes, among other things, the Fàbrica de Creació (creation factory) and the Centre Cultural Can Fabra. 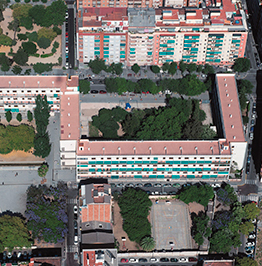 Sant Andreu is its residents and their traditions, roots that they do not want to lose or hide under layers of concrete, and which the public make it their business to reclaim. 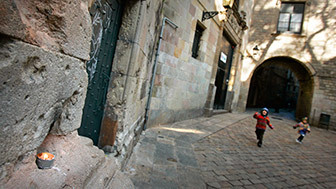 This is true of the centennial buildings of Carrer Major, the main street, where architectural gems like the Modernista Can Guardiola and Casa Bloc, a masterpiece of Catalan rationalism, proudly stand. Traditions that are passed proudly from parents to children. Traditions like Els Tres Tombs, the procession of floats for the festival of Sant Antoni, one of the oldest in Barcelona and the first in the annual calendar, which includes the blessing of animals and when tonnes and tonnes of sweets are thrown to the people. And the explosive Esclat Andreuenc, with the blunderbusses of the Sant Andreu trabucaire troupe, who fill the neighbourhood streets with noise and wake up the entire city with the characteristic sound of their trabucs. Sant Andreu is blunderbuss! 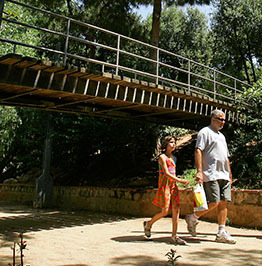 Sant Andreu proudly maintains its character as an independent town. 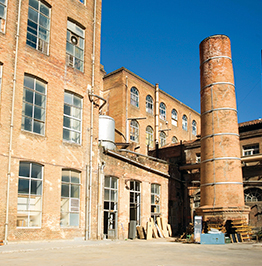 Fabra i Coats is an old cotton spinning mill that has been reclaimed for local people and today houses, among other things, a cultural centre and a creation factory. In the heart of the traditional Sant Andreu, Casa Bloc stands out for its modernity: an S-shaped building considered to be a masterpiece of Catalan rationalism. 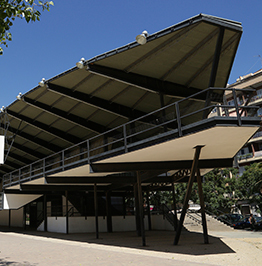 The former dog track in Sant Andreu, the Canòdrom, has been given a new lease of life: it is now a meeting point where creative minds and business people aim to turn ideas into businesses and services. 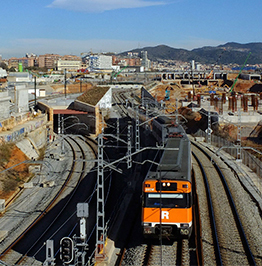 Not far from the main metro station in the north of Barcelona, La Sagrera, a new train station with the same name is being built that will be the biggest in Catalonia.